It’s the taste of summer: juice dripping down your chin and a tropical aroma overwhelming your senses. Many of us just can’t get enough of Australian mangoes. 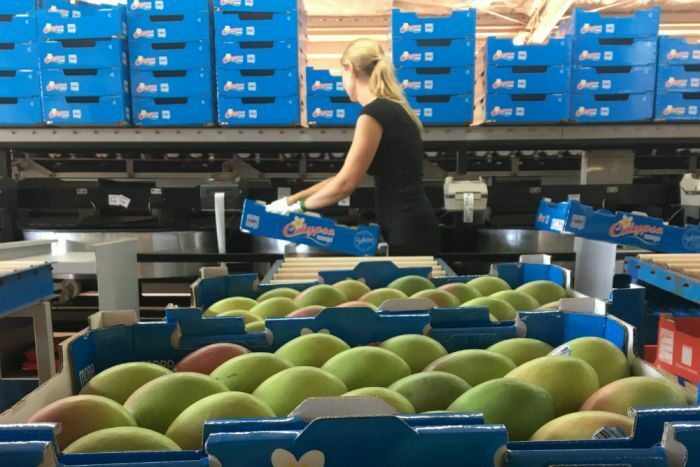 This season, 10 million trays were packed from the tropics of the Northern Territory and sent to markets in southern Australia or exported overseas. Not long ago, the same fruit was considered a luxury. 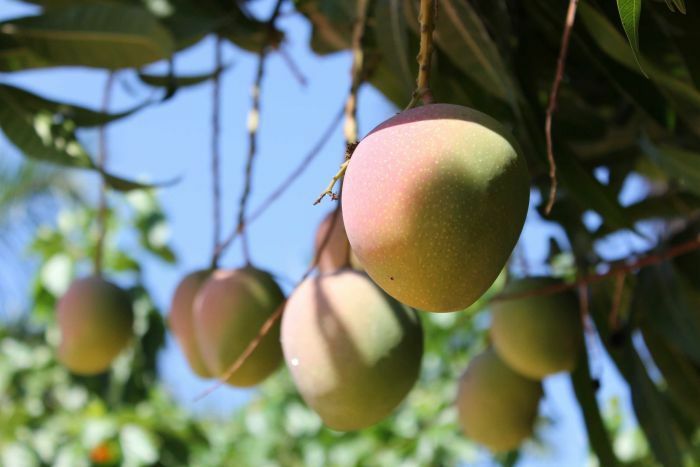 So how have mango growers turned their product into a summer essential? In recent years, the mango industry has achieved success similar to avocado growers, who managed to change consumer opinions of the fruit from a luxury to a household staple. Seventy-six per cent of the population now buy mangoes, compared to 66 per cent in 2014, according to data from the Australian Mango Industry Association (AMIA). 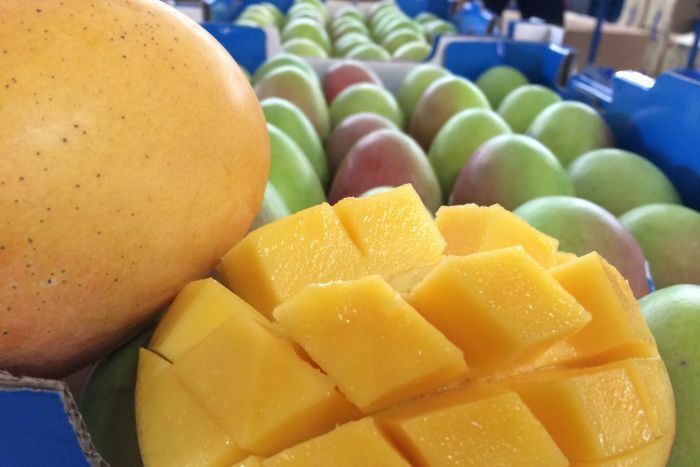 The Northern Territory is now not only the largest grower of mangoes in the country, but also a consumer favourite. AMIA CEO Robert Gray said over time, Australians had changed how and when they used the popular fruit. “We know that simply slicing, dicing and demolishing the delicious king of fruits is still one of the most popular ways that consumers are enjoying their mangoes,” he said. Mr Gray said the industry had learnt from avocado growers, and now had a strong focus on quality and reliability. “Avocados are one fruit that have increased consumption by creating multiple uses and occasions,” he said. 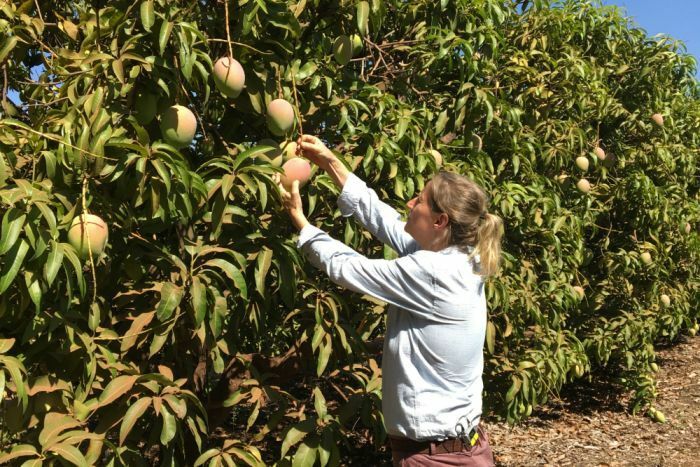 Martina Matzner manages one of the biggest mango farms in the Northern Territory, Calypso Mango in Darwin. She said targeted production would help spread out mango sales during the short selling period. “You target the areas that aren’t buying mangoes yet,” she said. Ms Matzner said growing mango varieties that extend the harvesting period would also boost already-booming sales. “At the moment, it’s still only a three to six-month season and if we can succeed with different varieties to extend it, automatically [mangoes] will become more of a staple diet,” she said. According to industry body statistics, the number of households purchasing 11 or more mangoes per season has jumped 11 per cent since 2013, which, combined with rising prices, has led to a 71 per-cent increase in retail value. There are now 800 growers nation-wide, producing about $191 million dollars worth of fruit every year. Domestic exports to Sydney and Melbourne dominate the market, but the next hurdle for the industry is to secure more international markets in Asia, Europe and most importantly, the United States, which accounts for approximately 30 per cent of all mango imports. If growers succeed, the AMIA forecasts the industry will be worth almost $280 million by June 2022. At the Darwin farm, new technology has been brought in to ensure high quality and transparency throughout the growing process. Packing may look rudimentary, but recent contamination scares and an ongoing consumer demand for traceability have seen the farm implement a system to track every piece of fruit from its tree all the way to point of sale. The result is a powerhouse of data collection. Every mango has a barcode which can be traced to identify who packed it and its condition when it was packed. Another barcode on each box details which field the fruit came from, the time of day it was picked, and which employee did the picking. “With the click of a button, you hold [the tracking machine] against the fruit and then it tells you what the dry matter is, it maps the GPS and then I can see it on the map,” Ms Matzner said. The data collection also takes the guesswork out of estimating the yield and packing requirements. “All the technology we now involve is to try to get precise yield predictions,” Ms Matzner said. “You look at the map and you can actually target the areas you’re picking, taking the risk out of picking immature fruit. Another substantial challenge of getting the desirable fruit to market is a time-consuming harvest. Mango season in the Northern Territory is traditionally during the infamously brutal build-up, the period between the dry season and monsoon, when humidity lurks around 90 per cent and dark clouds linger but rarely deliver rain. In the dry season, usually June and July, cooler temperatures allow the mango tree to flower, which then produces fruit. Farmers then have to wait, hoping all their fruit flowers at roughly the same time and in large numbers. The biggest obstacle, however, is getting the fruit off the trees. Harvesting is a monumental job, with 90 tonnes of fruit picked every day. The fruit only lasts a few weeks, so it must be packed and transported almost 4,000 kilometres to market before the quality starts to degrade. Ms Matzner said an organised system and hard work from 130 backpackers made the laborious process run more smoothly. “We have people from all over the world that have travelled halfway around the world to come and be part of a mango harvest,” she said. “The opportunities up here are endless. If you want to do something and you believe in it, this is the place to come. Watch this story on Landline on Sunday at 12:30pm.